Do you want to improve your balance and reflexes? 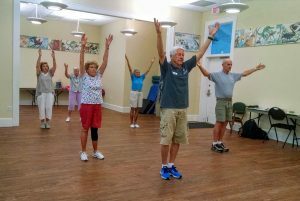 Get stronger and improve your balance through exercises that strengthen the ankle, knee and hip joints, all in a fun and social setting. This class is designed specifically to help prevent falls. Instructor John Mannion teaches stability exercises to help you achieve a stable and able body!